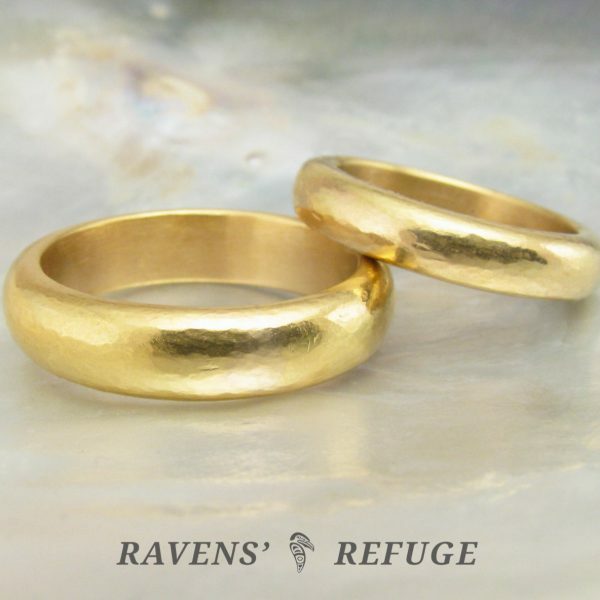 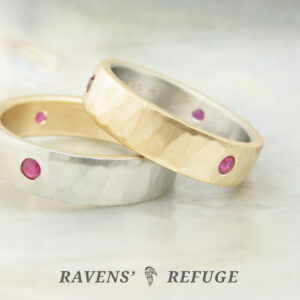 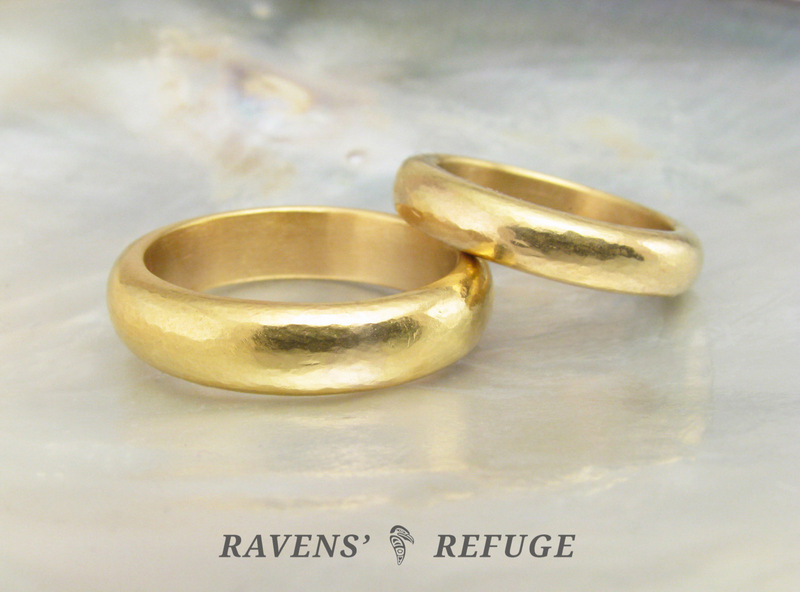 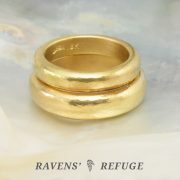 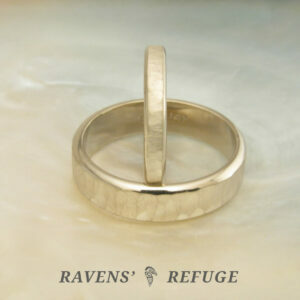 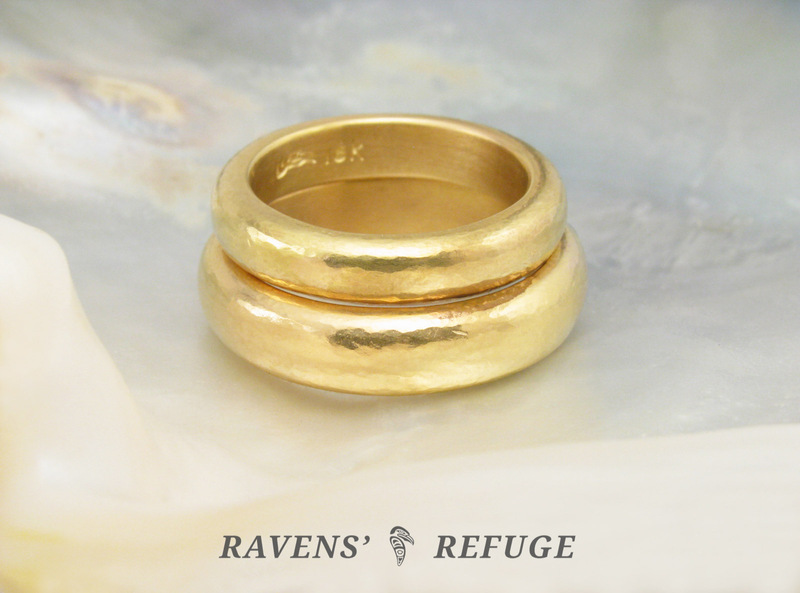 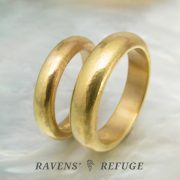 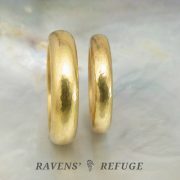 These gold wedding bands are hand forged and given the aesthetic of rings made centuries ago in the age-old art of goldsmithing. 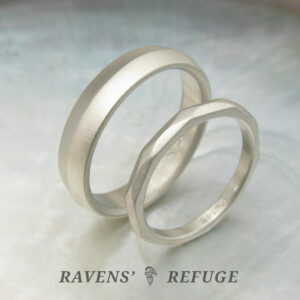 Made with hand-milled stock that is 2.5mm thick (deep), they are solidly built & have a very satisfying weight to them. 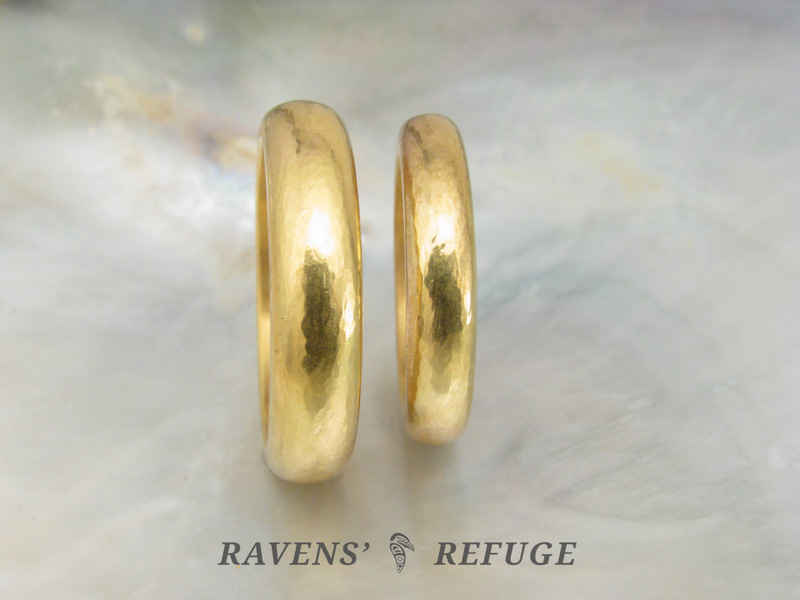 Our customers who commissioned this set asked for an “anvil finish,” so we’re sticking with that as a descriptive term. 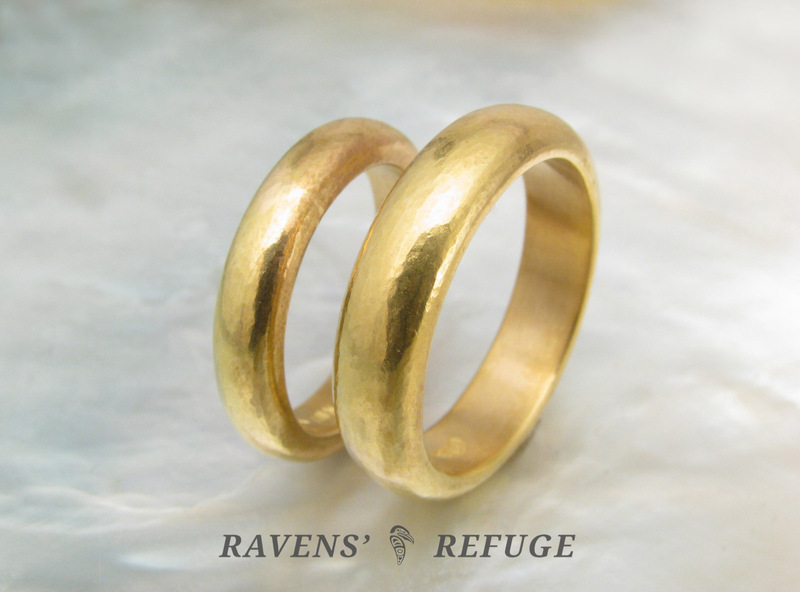 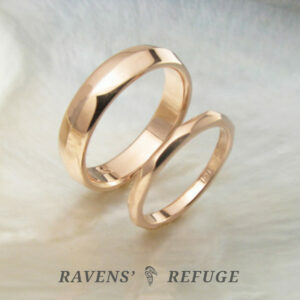 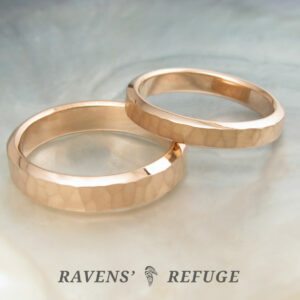 In 18k yellow gold, the rings positively glow — and look as though they were pulled from buried treasure.